A soupçon of vanilla and an absurd amount of self-indulgence for such a thin biscuit. The « Langue de Chat » is almost like the icing on the cake. They love enhancing all that they accompany. You can dunk them in your tea or enjoy it with your favorite ice cream. 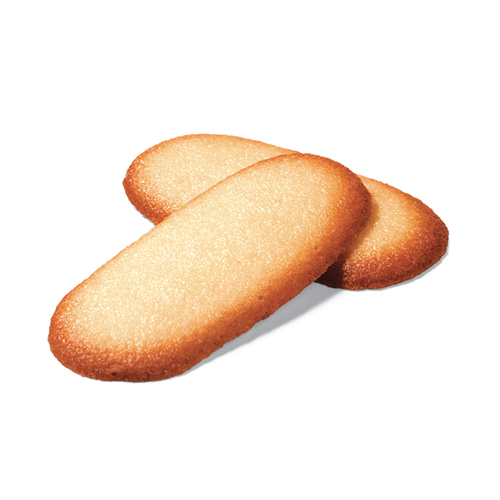 The origins of the langue de chat biscuit remain a mystery. This small biscuit figures prominently in all of the culinary history books and in all traditional cookbooks, but nobody knows who invented it. The history of this delicate finger-shaped biscuit has been investigated by the finest of detectives. Based on the ingredients and the cooking technique used, they believe that the very first langues de chat came out of a French oven in the 17th century!